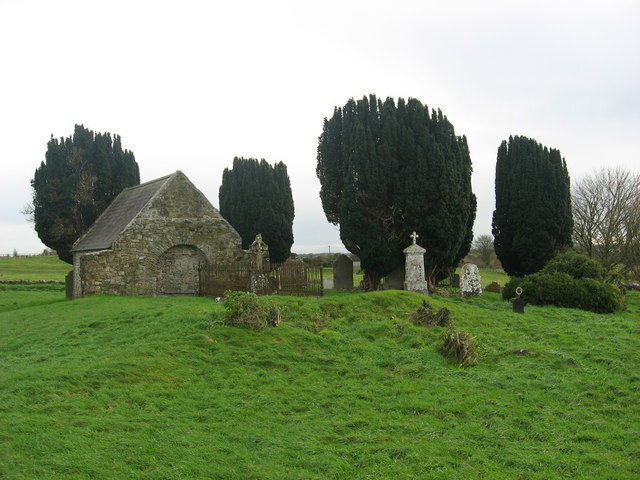 The chapel houses the tomb of Margaret Dungan, Lady Trimblestown, wife of Robert, ninth Baron Trimblestown, who died 5 November 1680. The chapel is built on the east end of the site of an earlier church, the grass-covered foundations of which can be seen in the foreground. Site shown on the 1836 O.S. survey as 'Burying Ground', with no church evident.